Press Statement of the Peace and Security Council of the African Union (AU), at its 427th meeting on the incidents in Bangui on 29 March 2014 and the decision of the Republic of Chad to withdraw its contingent from the African-led International Support Mission in the Central African Republic (MISCA). 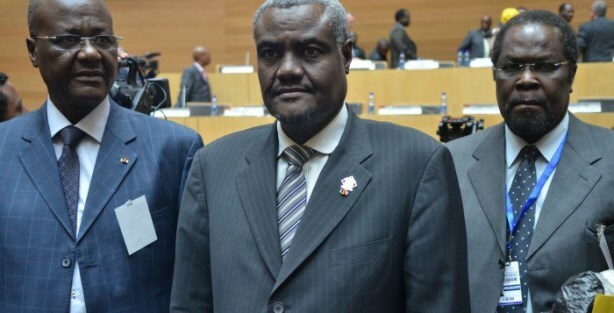 The Peace and Security Council of the African Union (AU), at its 427th meeting held on 9 April 2014, recalled the briefing made by the Commissioner for Peace and Security at its 426th meeting held on 7 April 2014. Council also took note of the Information Note of the Chairperson of the Commission on the incidents in Bangui on 29 March 2014 and the decision of the Republic of Chad to withdraw its contingent from the African-led International Support Mission in the Central African Republic (MISCA). Le ministre tchadien des Affaires étrangères et de l’Intégration africaine, Moussa Faki Mahamant, a annoncé en marge du sommet Europe-Afrique, tenue à Bruxelles, le retrait du contingent tchadien au sein de la MISCA. 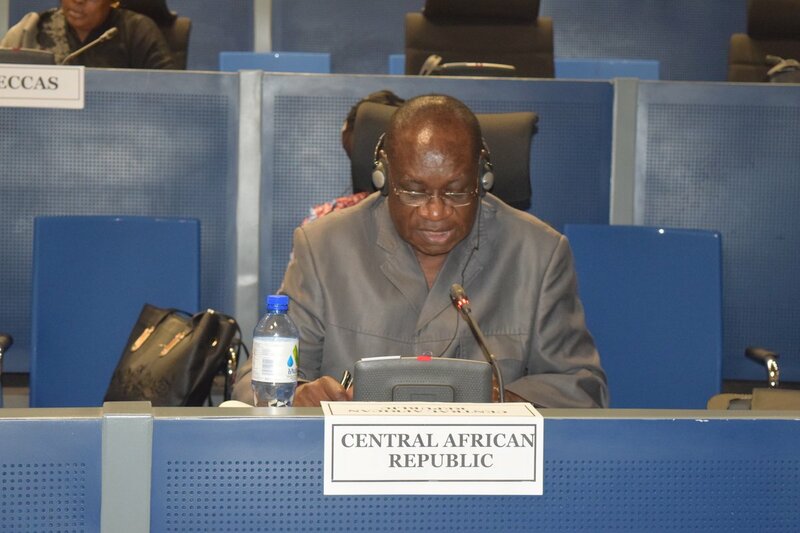 Council reiterated the AU’s continued commitment to spare no effort to help stabilize the situation in the CAR. In this regard, Council welcomed the remarkable work of MISCA and the significant progress made in the implementation of the Mission's mandate. Council paid tribute to the leadership of the Mission, including the Special Representative, the Force Commander and the Head of the police component, as well as the troop and police contributing countries, for their continued commitment to peace, security and stability in the CAR. Council also paid tribute to the uniformed personnel who died in the line of duty, and wished speedy recovery to the injured. Council took note of the decision announced by the Government of Chad, on 3 April 2014, to withdraw its contingent from MISCA. Council welcomed the press statement issued, on 4 April 2014, by the Chairperson of the Commission, and strongly condemned the malicious and unfounded allegations against Chad, especially after the incident of 29 March 2014, at PK12, and in the course of which armed elements ambushed elements of the Chadian contingent, who were compelled to react in self-defence. 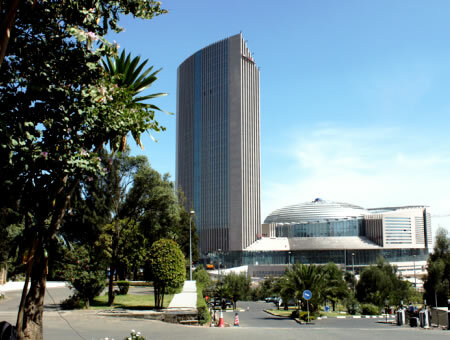 Council deplored the haste with which false and misleading information on this incident was disseminated by some international media houses, thus contributing to the worsening of the climate of hostility created by spoilers in the CAR against the Muslim community, in general, and Chadian nationals, in particular. Council reiterated its deep appreciation for the crucial role of Chad in the efforts to resolve the crisis facing the CAR. In this context, Council paid tribute to President Idriss Deby Itno of Chad, current Chair of the Economic Community of Central African States (ECCAS), for his personal involvement and the immense sacrifices made by his country towards peace in the CAR. Council welcomed the commitment of the Chadian Government to continue to work towards the resolution of the crisis in the CAR. Council also paid tribute to President Denis Sassou-Nguesso of the Republic of Congo, ECCAS Mediator, and the other leaders of the region, as well as to the ECCAS General Secretariat, for their tireless efforts and commitment. 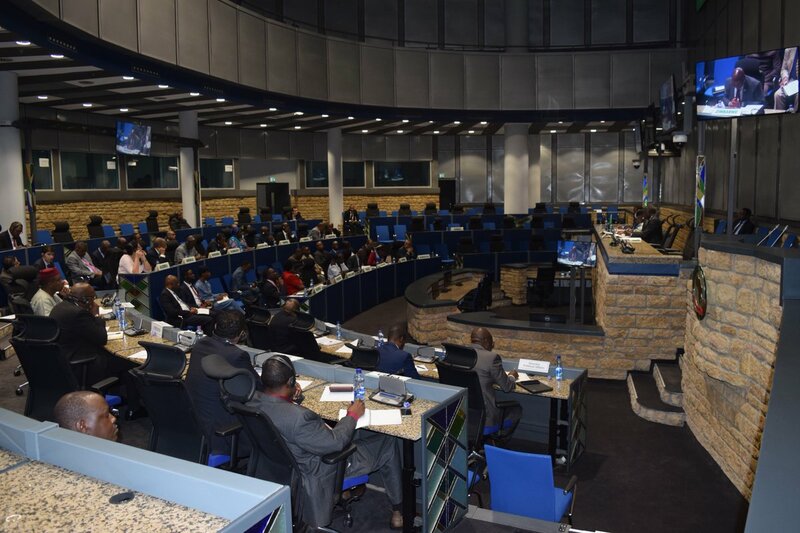 Council reiterated its conviction that a lasting solution to the crisis in the CAR requires concerted efforts of the region and continued international support for the transition and the political process. Council reiterated its call on the UN Security Council and other members of the international community to continue to lend their full support to the region. Council noted with satisfaction the measures taken by the Commission to mobilize new troops to replace the Chadian contingent and welcomed the offers made by some Member States to contribute troops to MISCA. Council stressed the importance of close coordination with the Chadian authorities to ensure the orderly withdrawal of their troops and other uniformed personnel and avoid any vacuum which may jeopardize the gains made on the ground, in particular the security of the civilian populations. Council also noted with satisfaction the steps taken by the Commission to strengthen MISCA, as part of the follow-up to its communiqué of 7 March 2014. 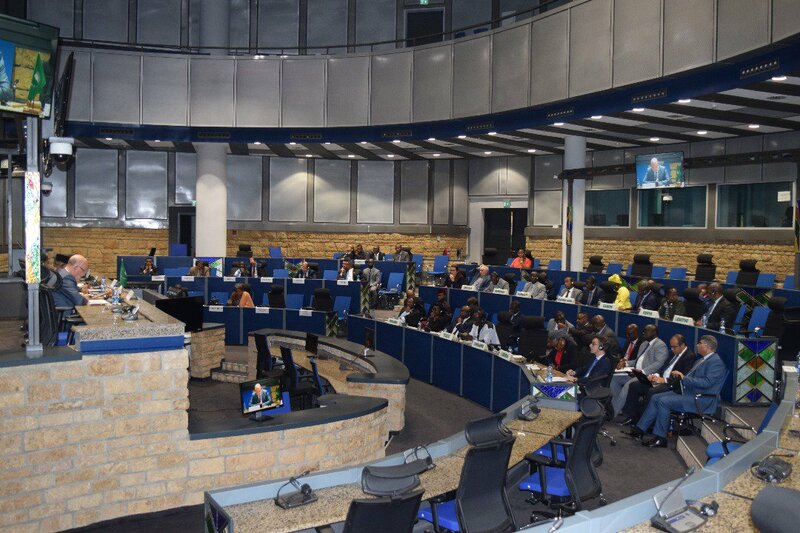 In this context, Council welcomed with appreciation the planned deployment of two Formed Police Units (FPUs) from Burundi, with airlift support from Algeria, as well as the offer by Djibouti to provide one FPU. Council reiterated its support to MISCA, and encouraged the Mission to pursue and intensify its efforts aimed at stabilising the situation in the CAR. Council urged the transitional authorities of the CAR, political leaders and other relevant stakeholders, to fully play the role expected of them in facilitating the smooth completion of the transition process and restoration of constitutional order in their country. In this regard, Council called upon the international community to continue to support their efforts. Council reiterated its warning to all spoilers in the CAR, particularly the anti-Balaka elements, that they will be held accountable for their actions. Council agreed to remain seized of the situation in the CAR.